The Dolphins strolled past the Knights with an eight-wicket victory thanks to brisk innings from Cody Chetty and Morne van Wyk. Cable theft at Mangaung Oval forced the CSA Challenge T20 match to be played at 14:00 instead of the scheduled slot at 18:00. The Knights, struggling to replicate their Sunfoil Series form which sees them occupy second place, got off to a decent start thanks to Patrick Kruger and Andries Gous. Gous, making his franchise debut after impressing for Free State in the Africa T20 Cup, put on 43 with Kruger in the Powerplay. The opening pair’s 47-run-partnership was ended by quick wickets from Cameron Delport removing Kruger (28 off 24 balls) in the seventh over. Gous (28 off 23) went in the ninth over and Patrick Botha (5) in the 11th over, leaving the captain Theunis de Bruyn with a hefty task to try lift his team from 77-3. 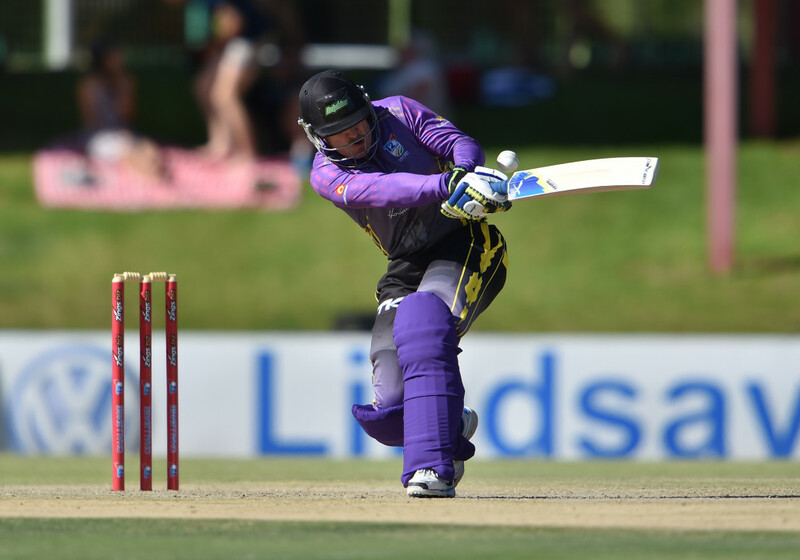 After injury ruled him out for the first four matches, De Bruyn played a captain’s innings, smashing 63 off 41 balls to help his side post a competitive total of 153-4. The Dolphins set the tone early on thanks to Morne van Wyk and Delport who put on a 50-run-partnership after just five overs before the first wicket fell to Shadley van Schalkwyk. The game ran away quite quickly from the Knights with the introduction of Chetty, who helped steer Van Wyk to 56 runs off 43 balls, the pair helping themselves to a 86-run-partnership at just under eight runs an over. 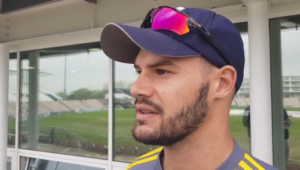 Van Wyk, who has played 17 ODIs for the Proteas, lost his wicket in the middle of the 17th over, leaving Chetty to carry his side over the line with a brisk 46 off 38 including six fours, which helped his side post a winning total of 154-2 and a vital five points.